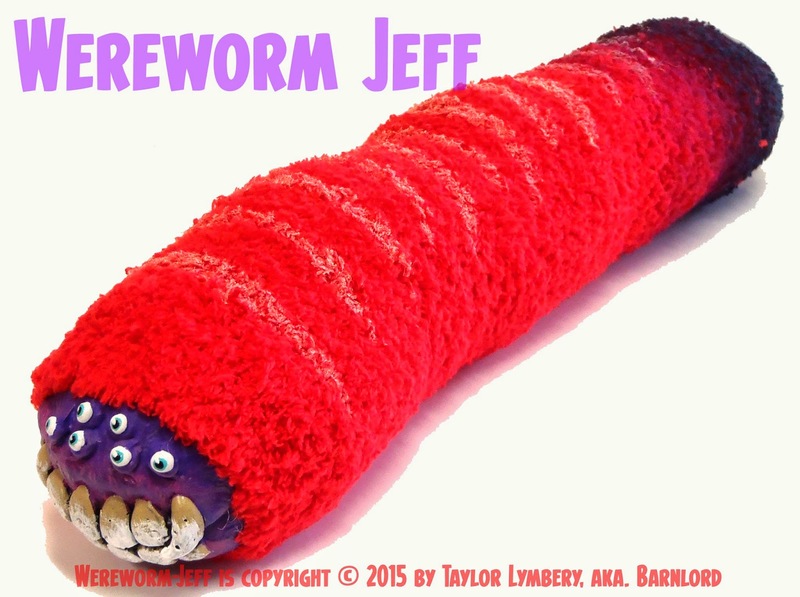 Taylor's Sweet Little Art and Nerd Site: Production Plush Toy- The Wereworm Jeff! I'm still not sure what I was thinking when I first started buying material for this one. I'm not sure what was going through my head, but I am glad that I followed my instincts! 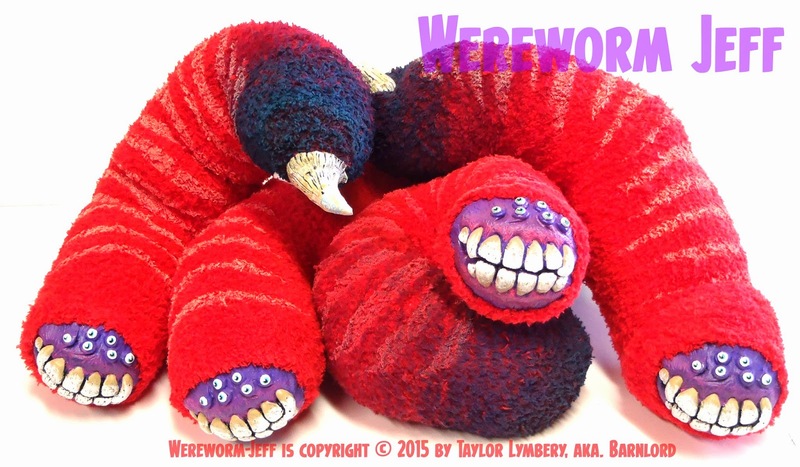 This toy plush here is a Wereworm! 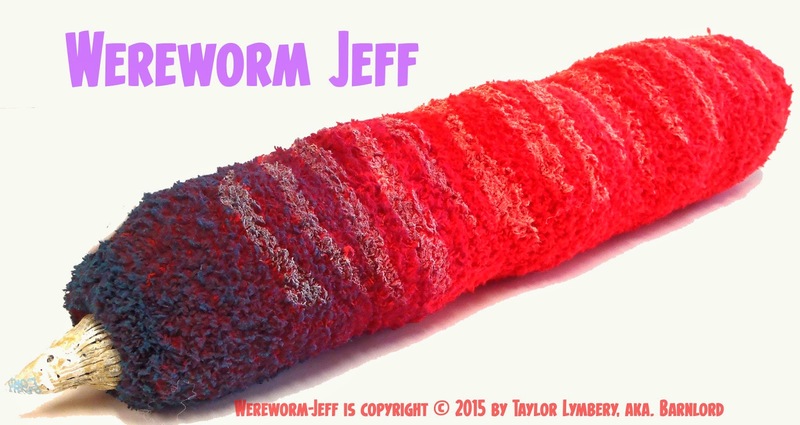 More importantly, it is Jeff, the Wereworm! 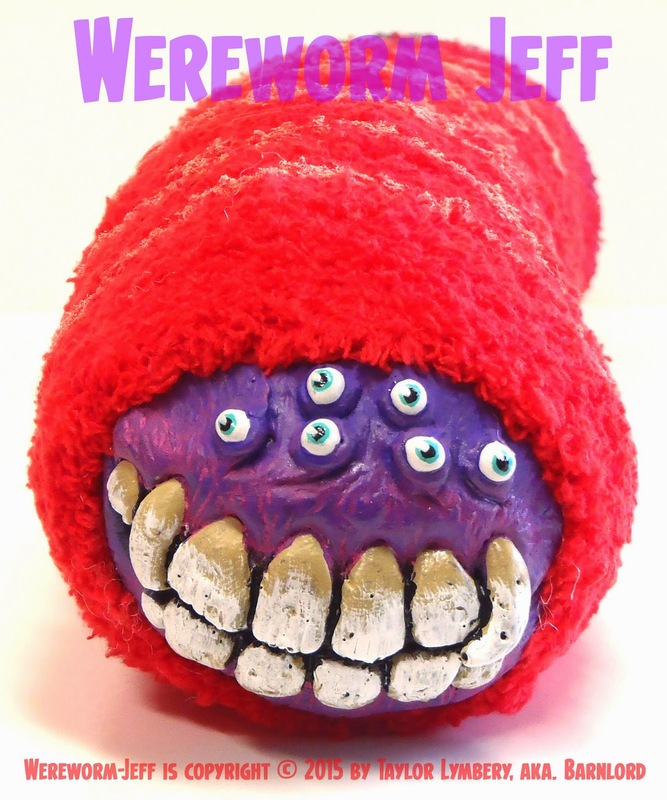 And yes, for all of the Talking Toys with Taylor and Jeff podcast fans, this toy was named after my best bud even though it looks nothing like him! 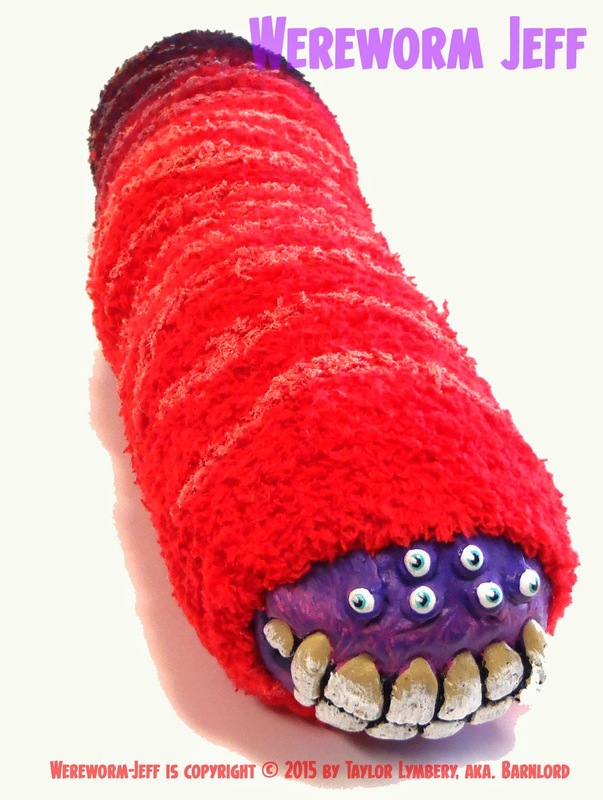 This toy is a stuffed plush with a possible wire frame and hand painted plastic face and stinger. He sports glow-in-the-dark stripes and a bright fuzzy body. 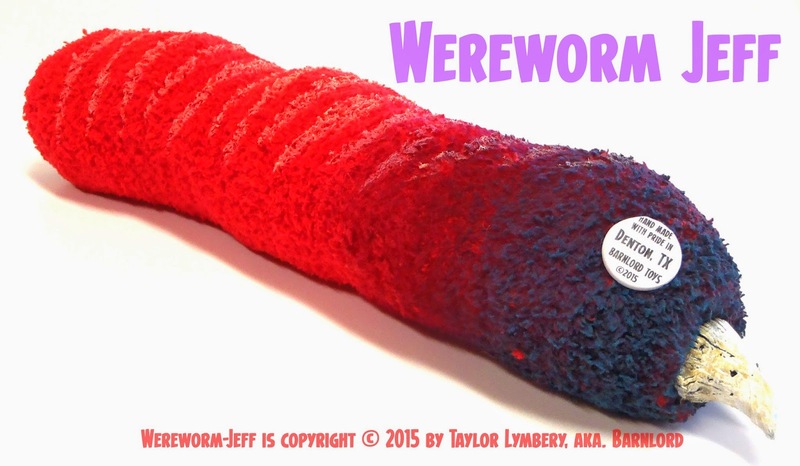 I already have another Wereworm face and stinger sculpted, so expect another one of these toys to be on its way! 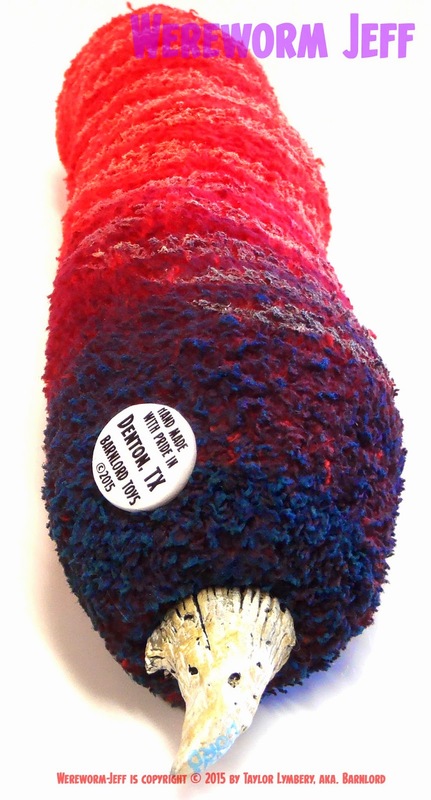 The toy pictured is an actual production piece. If you'd like to pre-purchase one, send me an e-mail. 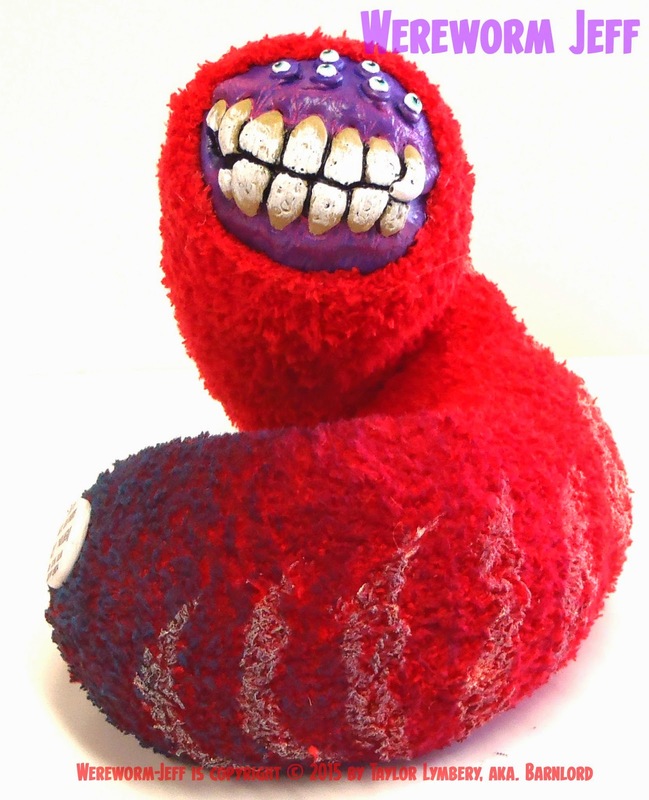 There are also more pictures of this piece below the important messages below. I have been asked to help my amazing local community of Denton, Texas with theirMini A-Kon on February 28th, 2015. I'll be making a piece to auction there and doing a live sketch session there to add another piece for auction later that day. 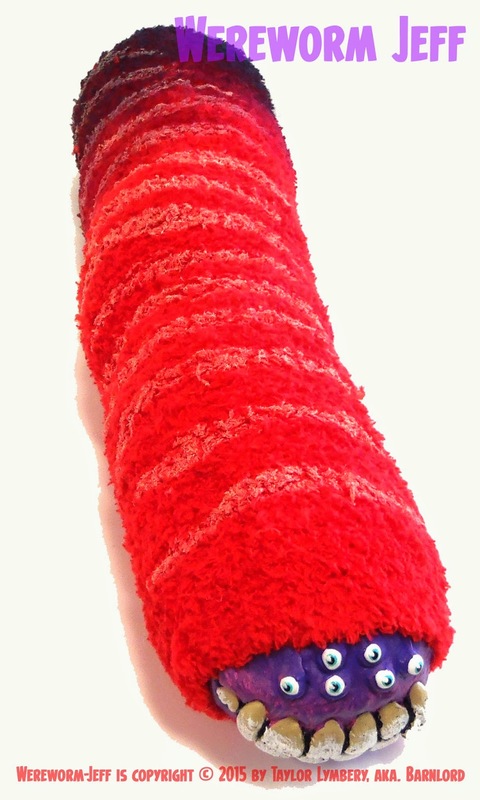 The money raised will go to the charity, "For the Love of Art": an art group helping the elderly. If you are in the area, stop by and say, "Hi"! 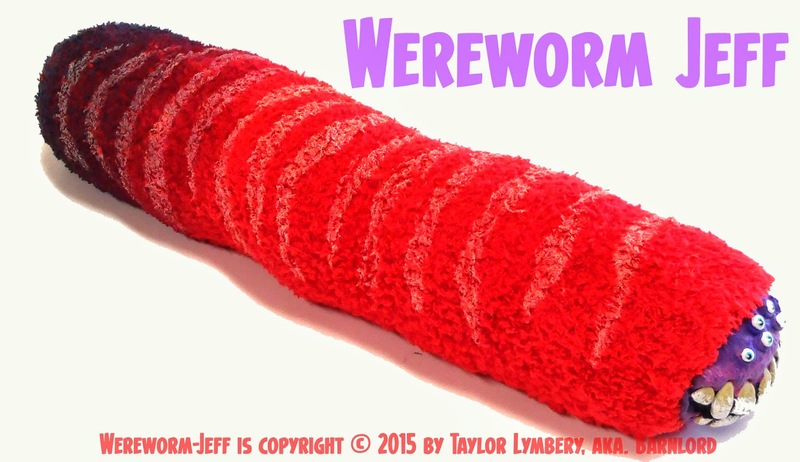 All pictures and design of "Wereworm Jeff" is copyright © Taylor Lymbery 2015. All Rights Reserved. You can see this piece in my deviantart gallery as well here.